There is a book called “The 50 Metrics Every Marketing Professional Should Measure.” What blows my mind is that there’s actually a book telling me I need to measure 50 things, at once, to do my job right. No one should have to measure 50 things. Maybe, that would be a requirement if you were a CMO however, I’ve determined there are seven important things that we, as marketers, need to measure. What are the important things, you ask? Well, what is important really depends on you, your organization and what your organization needs. Below, are 7 things I think are critically important to measure right away. 1. Marketing campaign ROI reports should be run on closed-won, as well as closed-lost opportunities along with data for lead source generally and lead source description specifically. Precisely, which marketing campaigns drive revenue. 2. Baseline your your online community and improve it. You can do this by building followers and connections. Measure your online community’s engagement with content, such as comments left on blogs, shares and retweets, etc. across your platforms. 3. Acquire lead maturity information in the form of scoring of demographics and lead behavior across your media. This will provide the sales insight to help with time prioritization and forecasting. 4. Know your month-to-date and quarter-to-date 2014 compared to 2013 revenue generation. 5. *Lead generation vs conversion of unknown ip addresses via webform submittals, i.e., visitors to your website engaging anonymously with your content becoming known by providing personal data in exchange for information. *This may be where counting clicks or visits to your website or individual pages therein matters. This is just a number for traffic sake and NOT actionable. 6. Conversions from marketing activities to closed-won specifically (which looks a lot like lead source generally as conference/Tradeshow, advertisement, social media and then gets a lot more granular with the name of the conference, the publication, the social media platform). This helps budgeting occur better next time and shows where your audience concentration is most engaged. This enables marketing to determine best actions of how involved we will be next year in trade publications, conferences, and across the web. Measuring these 7 things will help you get a serious, deep level of granularity in your reporting and enable productive changes to next year’s marketing plans. Plus, you can monitor your marketing qualification process and your sales closure rate. Did you do your job? Could you do better? These are the things that matter. This same level of granularity of reporting should be applied to any marketing you do. In-house on your website, ads in magazines, whatever it is, you need to track it closely so you can ensure you’re performing at top quality. This is why you can’t count clicks. There isn’t much point to knowing how many clicks you’ve got hitting your site if you don’t know who they are, and you don’t have a plan for conversion. If lead generation in support of sales and revenue generation is important to you, contact us today! Being a jerk is never a good idea. 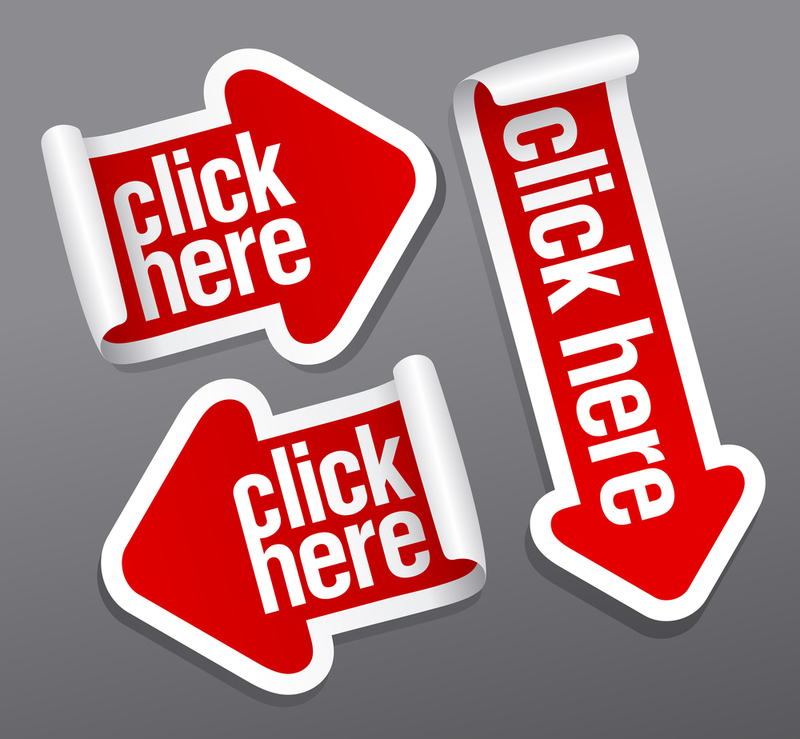 These are some great tips on avoiding the click.